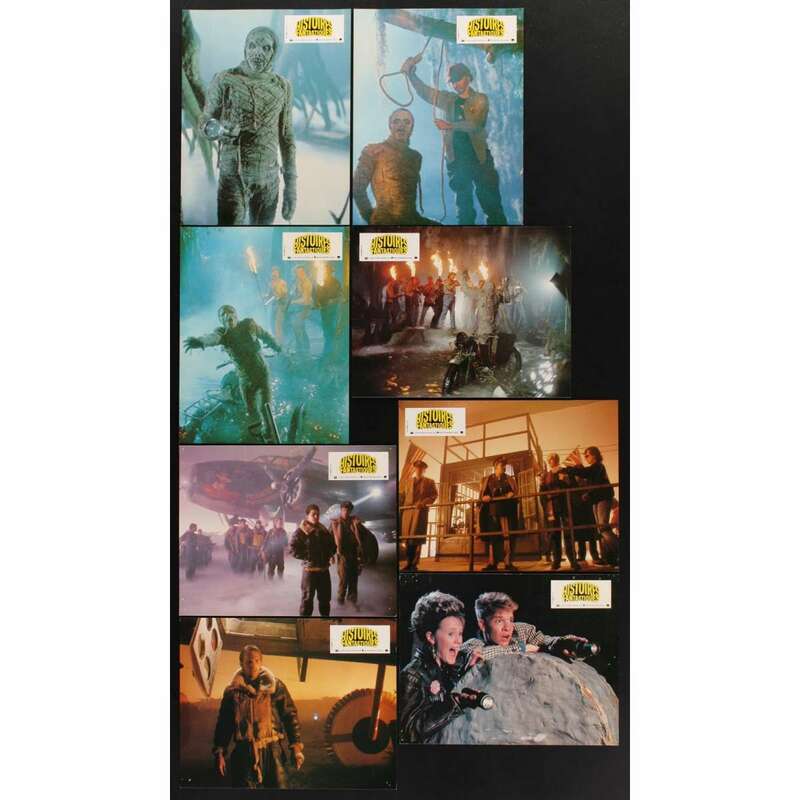 8 Original Vintage Theater-Used French Movie Lobby Cards (LCs; measure 8 1/2" x 10 3/4" [22 x 27 cm]) Condition: Good to Very Good (C5) See our 10 GRADE SYSTEM Page for more information. Amazing Stories is a fantasy, horror, and science fiction television anthology series created by Steven Spielberg. It ran on NBC from 1985 to 1987, and in 1992 was somewhat erratically screened in Britain by BBC1 and BBC2 - billed in the Radio Times as "Steven Spielberg's Amazing Stories" - with episodes airing at any time from early on Sunday morning (such as "The Family Dog") to weekday evenings (like "Such Interesting Neighbors") to very late at night (for instance "Mirror, Mirror"); it later received a more coherent run on Sci-Fi. Overall Condition: good to very good.Important Added Info: Note that these French lobby cards measure 8 1/2" x 10 3/4" [22 x 27 cm], but have not been trimmed.